Today’s townland is Breda, in Belfast. 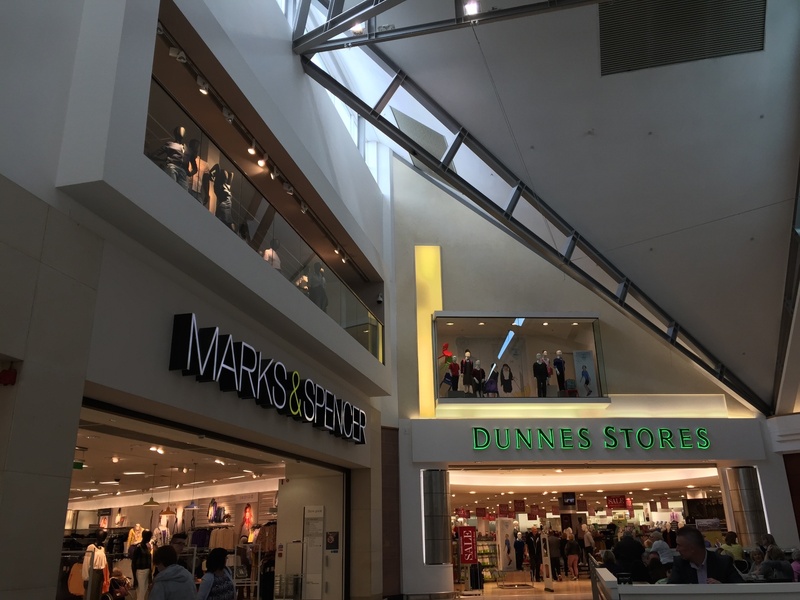 Let’s start at the busiest place in the townland – Forestside Shopping Centre. The shops are enclosed by a ring of carparks, and then a ring of roads, with constant traffic on the A24 Saintfield Road and the A55 Outer Ring. You may wonder how Forestside could be close to any forest, but in fact the western half of this townland is very green, reaching across Belvoir Park Golf Club into Belvoir Park Forest. Breda extends as far as a river in Big Wood, with the rest of the forest being in the townland of Ballylenaghan. To the north of the golf course is Galwally Lake. 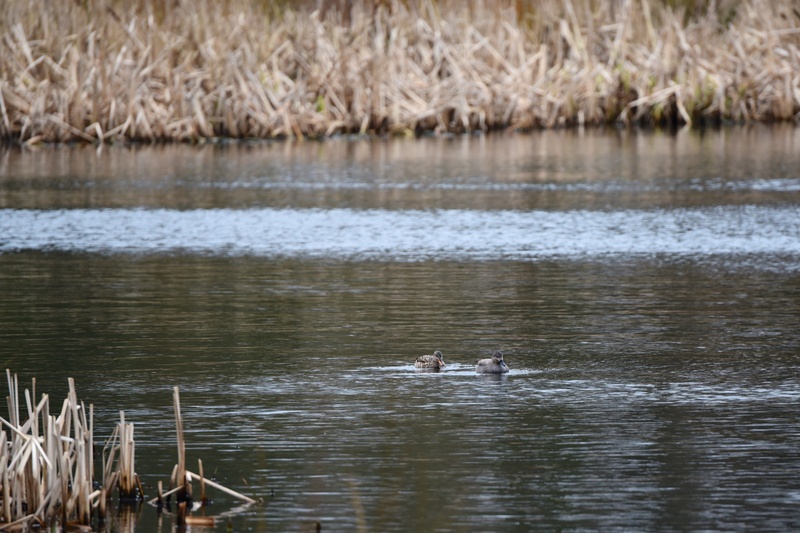 I wondered if the ducks out on the lake could be gadwall (Anas strepera). 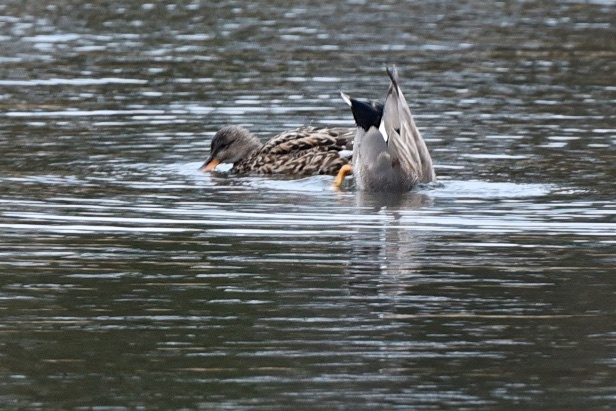 They didn’t come any closer, but were kind enough to show me their identifying marks: the female gadwall’s orange-yellow bill-edges and the male gadwall’s black rear end. Here are the Galwally gadwalls. On past the lake, Galwally Avenue ends with less picturesque water. As you can see in that photo, the townland name of Breda also appears in longer placenames. 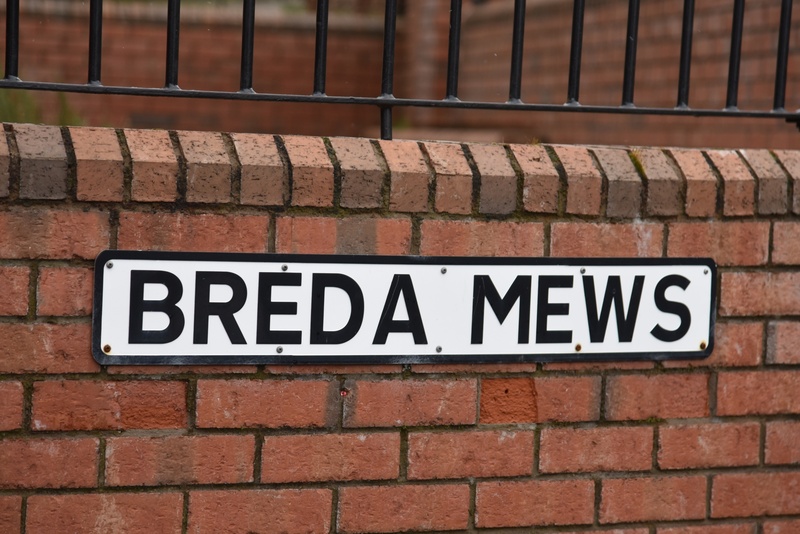 Starting with a village called Newtownbreda, the eastern half of the townland has become a residential suburb of Belfast, with streets called Breda Park, Breda Avenue and the one in my first photo – Breda Mews. 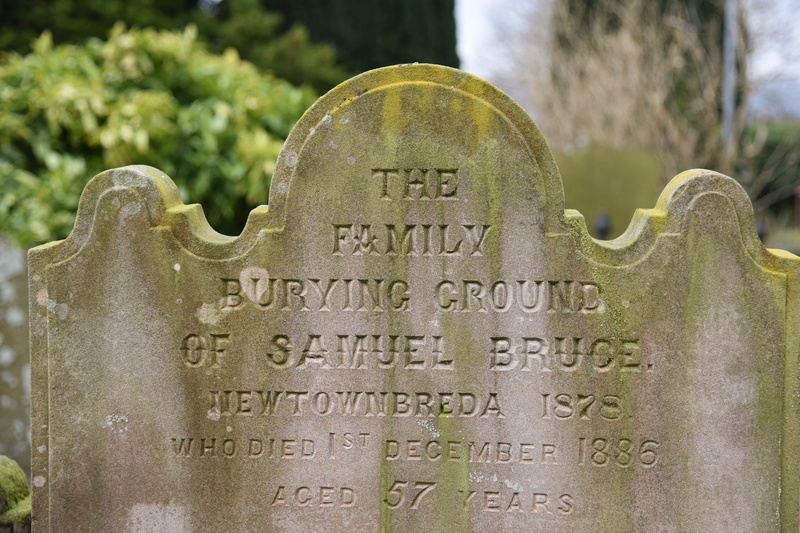 This stone marks the burial place of the Bruce family of Newtownbreda. I photographed that headstone in the graveyard of Knockbreda Parish Church. 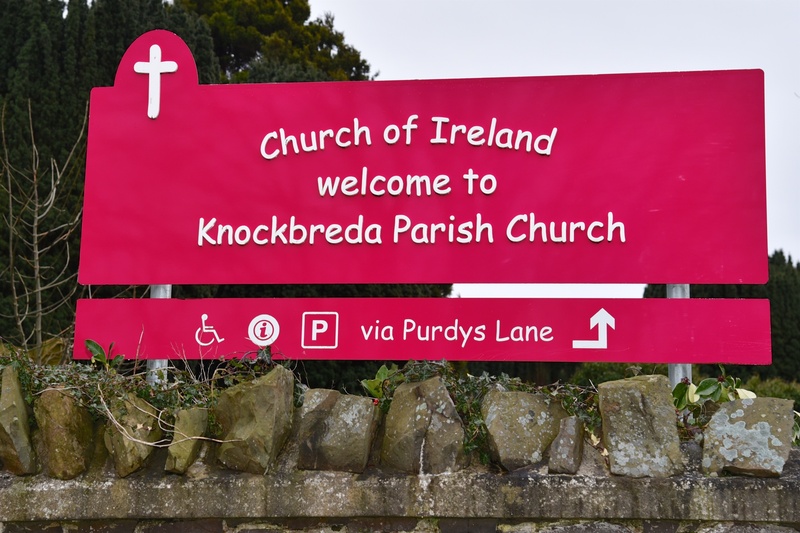 Although there are still individual townlands called Knock and Breda, they are no longer in separate parishes. The combined parish of Knockbreda was created in 1658 and this church was built in the townland of Breda in 1737. A more recent name change has gone the other way, with Breda Academy created in 2015 from the merger of Knockbreda High School and Newtownbreda High School. So what does the name “Breda” mean? It may be a reference to the 5th century inhabitants of this area – Bredach – or, as PLACENAMESNI suggests, it may come from the Irish An Bhréadach meaning “the broken land, the narrow glen”. 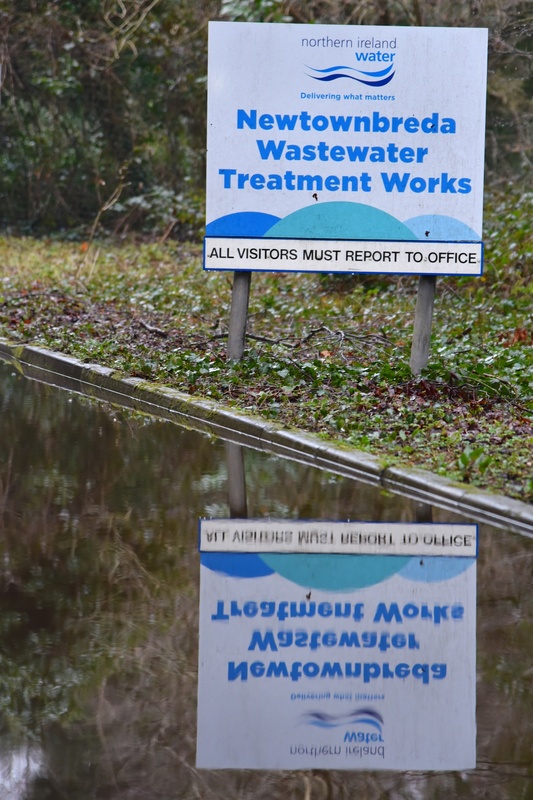 Which townlands border Breda? To the north and east, Ballymaconaghy and Galwally. To the south, Ballylenaghan. To the west, on the other side of the river Lagan, Malone Lower and Upper Malone. Click here to see more photographs of gravestones relating to Breda. Click here for a map of the townland on TOWNLANDS.IE. And finally, click here to read more about the history of the townland name on PLACENAMESNI.